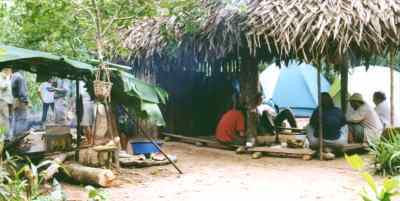 Journey to the Pongo de Mainique Peru. Chapter 5 page 2: Expedition Photography. Timpia campsite on the Urubamba River, Peru. 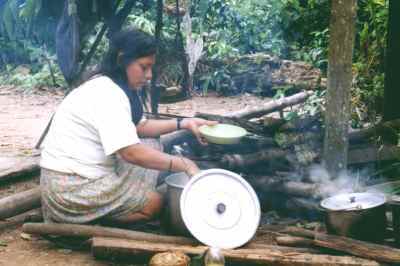 Machiguenga Indian woman preparing lunch at Timpia. 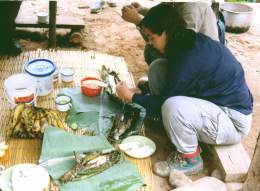 Dara with her lunch of fresh fish wrapped in palm leaves.